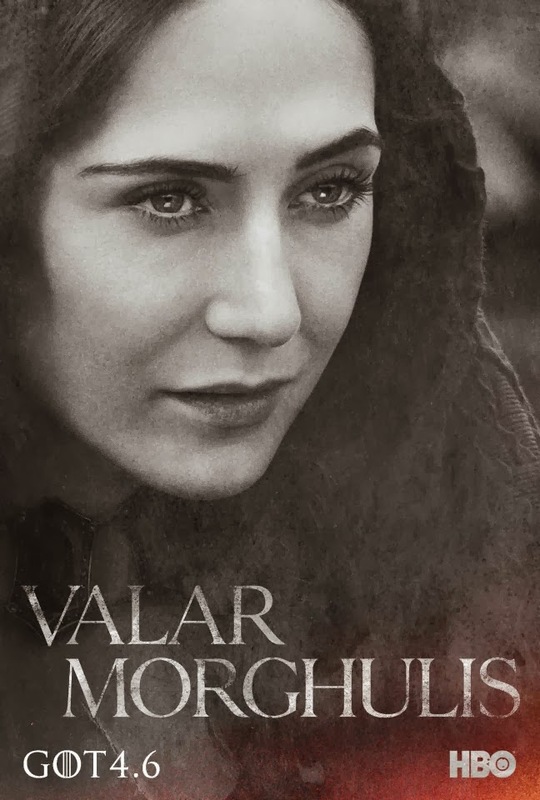 In the past we've been rewarded by the simplistic posters of every Game of Thrones season. 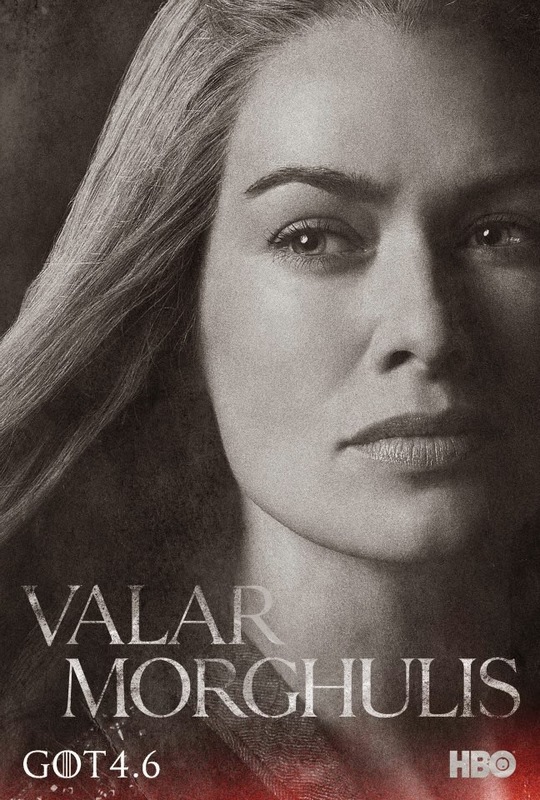 From the Iron Throne, through the coveted crown and to the grandiose shadowing of the dragon -- all made us more excited to watch the premiere episode of each show. 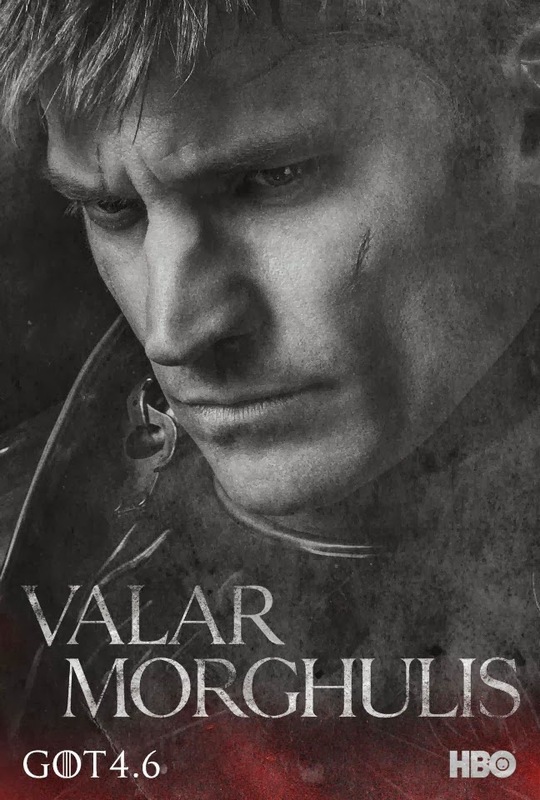 And this time around, the poster features an all too familiar figure and quote in the series. 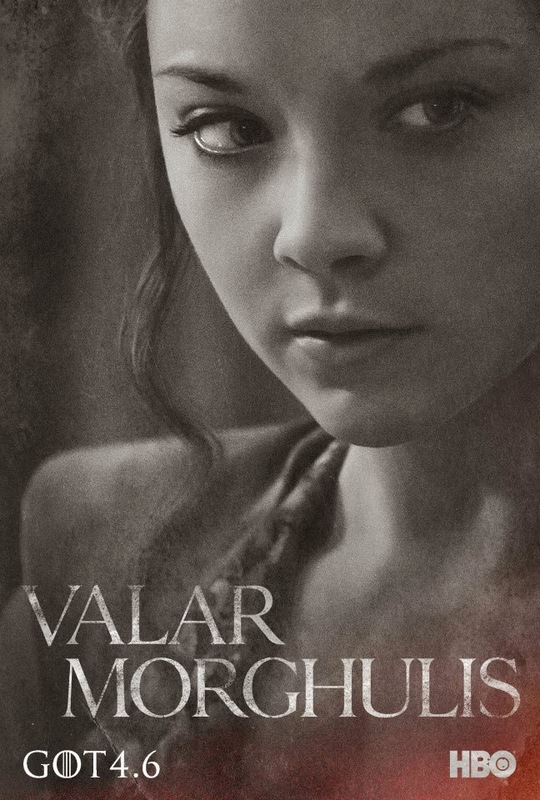 Welcome the Three-Eyed Raven that haunts Bran Stark in his foreseeing dreams. 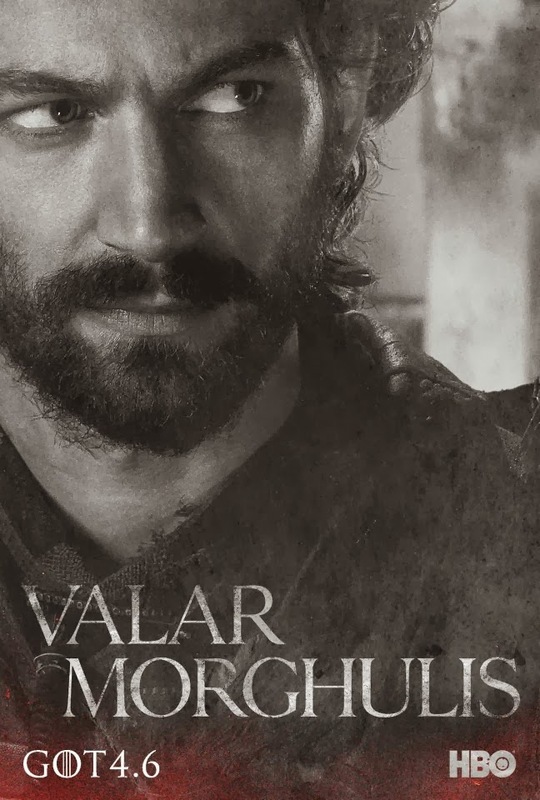 And don't forget the collection of the swords of the vanquished from the past and add those of the new fallen warriors we are yet to lament this season. 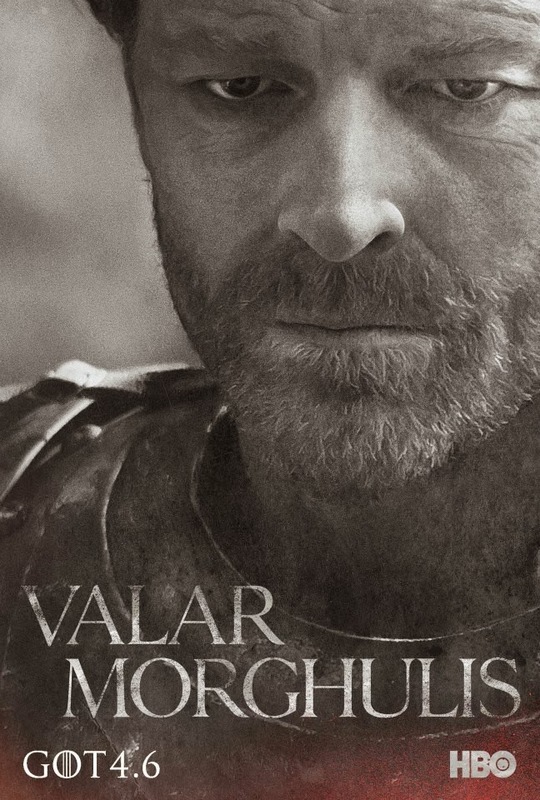 Take in this simplistic poster of Game of Thrones Season 4 poster. 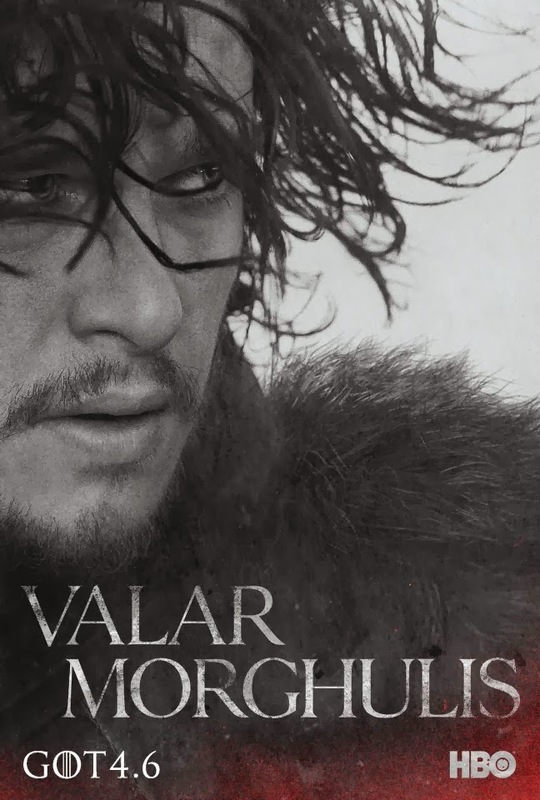 It will stretch from the south, where heat breeds plots, lust and intrigues; to the vast and savage eastern lands; all the way to the frozen north, where an 800-foot wall of ice protects the kingdom from the dark forces that lie beyond. 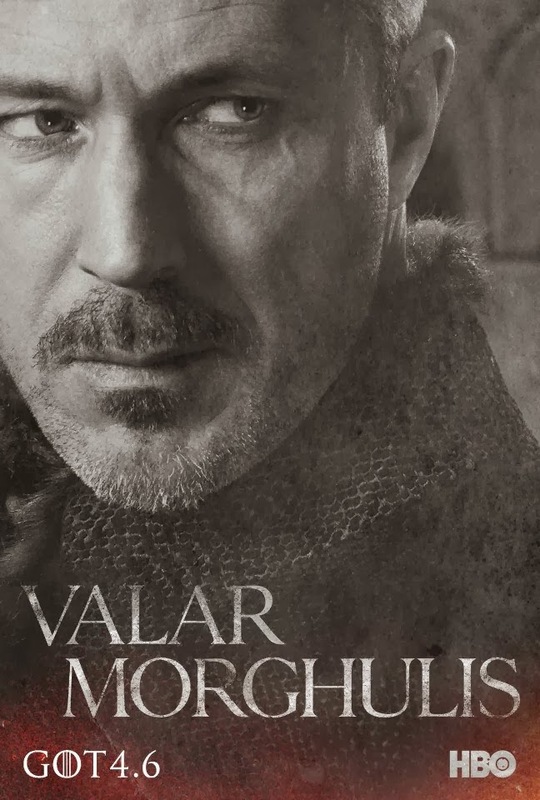 Kings and queens, knights and renegades, liars, lords and honest men... all will play the Game of Thrones. 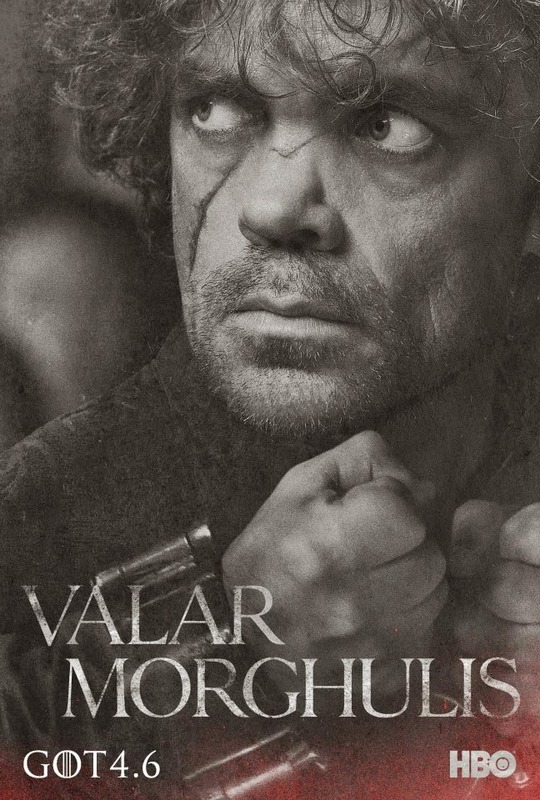 Catch the first episode of Game of Thrones Season 4 on April 6, 2014 only at HBO. Come March 21, 2014 and we will all witness on the big screen the anticipated adaptation of Divergent by Veronica Roth. But ten days before that the official soundtrack will be released and, guess what, Ellie Goulding dominates it. Goulding's voice could easily trap us bringing us into an all new mood and location inside our heads -- there is no wonder she's almost always present in every soundtrack albums these days, including this one. And to give us a taster the signer released the official lyric video of her new song Beating Heart, which will be featured in the said album and features some scenes from the movie. Immerse your self with this heavenly Beating Heart by Ellie Goulding. You can sing along if you like. 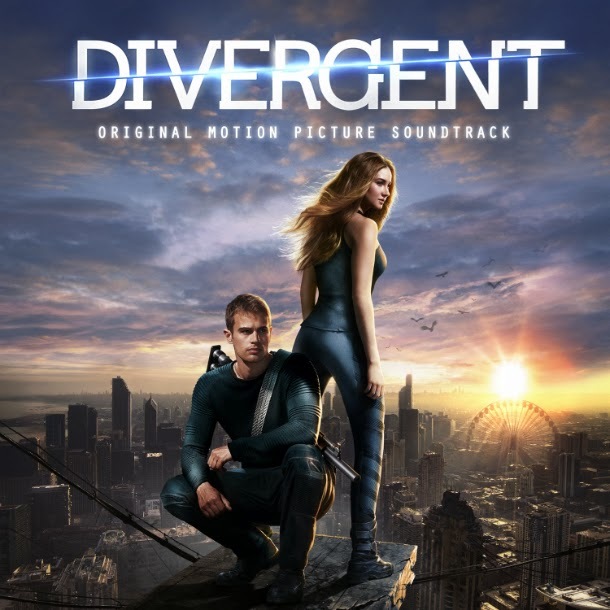 Divergent: Original Motion Picture Soundtrack will be available on march 11, 2014. It is currently available for pre-order over iTunes. In its most haunting, thrilling and most epic trailer yet, Godzilla chronicles how the future of man is in danger. This freak of nature, which man has attempted to eliminate once before, returns much bigger, stronger and more dangerous than ever. 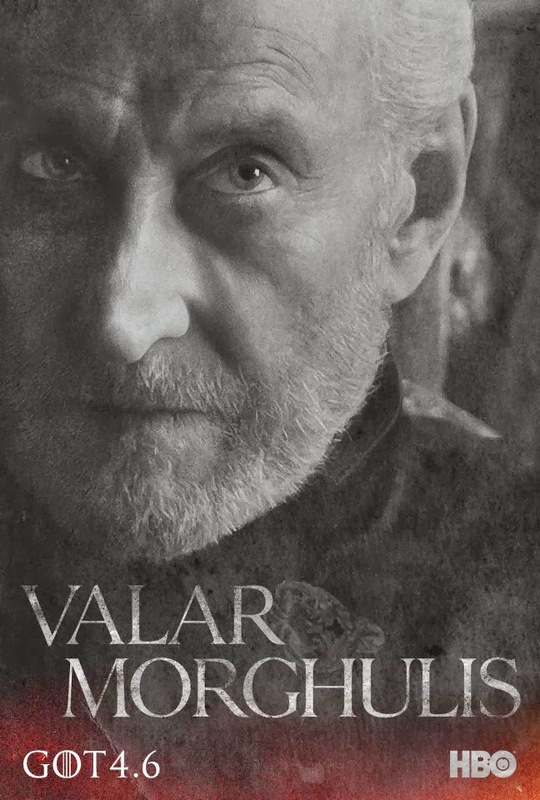 The film stars Aaron Taylor-Johnson, Ken Watanabe, Elizabeth Olsen, Juliette Binoche, and Sally Hawkins, with David Strathairn and Bryan Cranston. Gareth Edwards directs this Warner Bros. and Legendary Pictures presentation, out this year. Watch the new trailer of Godzilla. 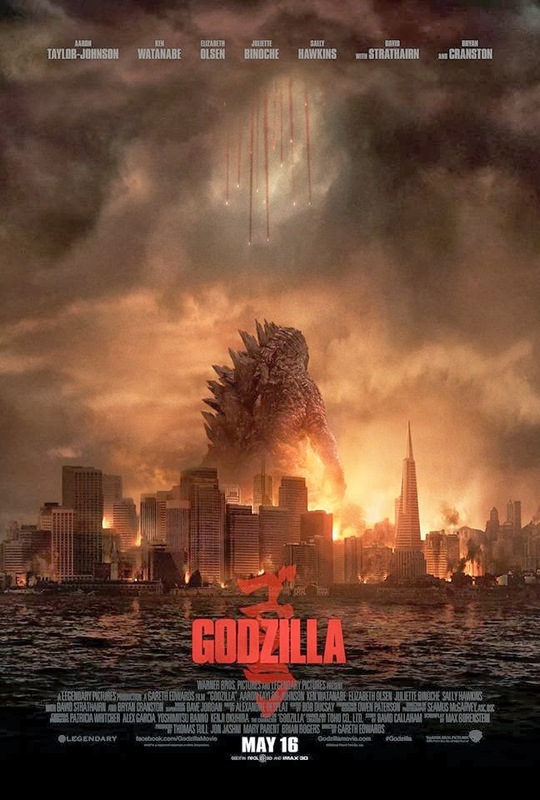 Godzilla will send us back to Stone Age, in theaters on May 16, 2014. 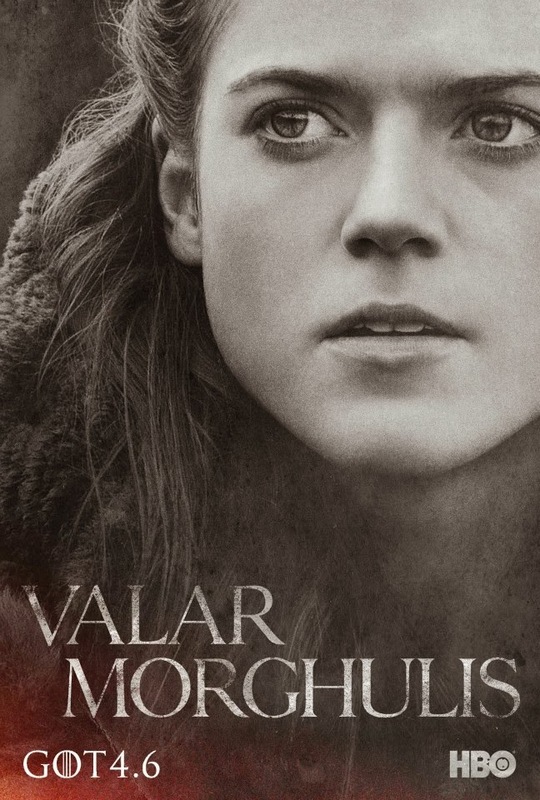 Valar Morghulis, a Valyrian phrase which means "all men must die," is basically the central theme of the upcoming fourth season of HBO's Game of Thrones. 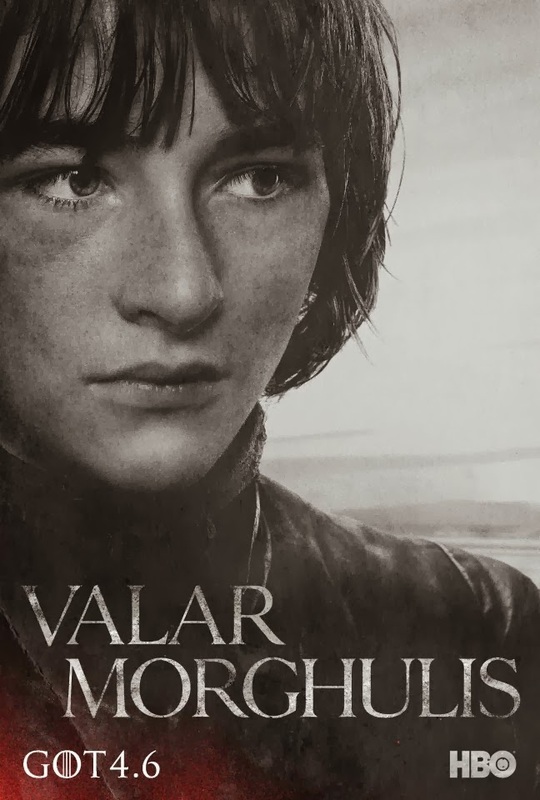 We have heard it being said in the previous season and it is the customary saying in Essos, which is answered with Valar Dohaeris, meaning "all men must serve." 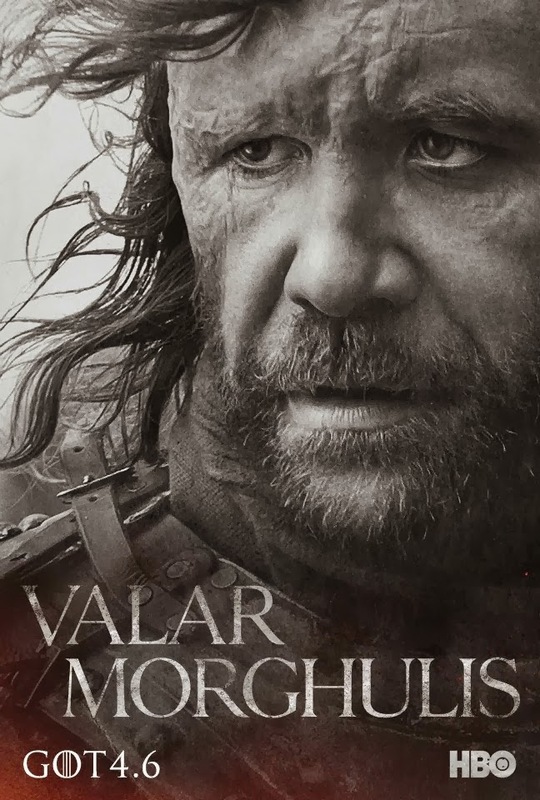 Remember Jaqen H'ghar in the first season? 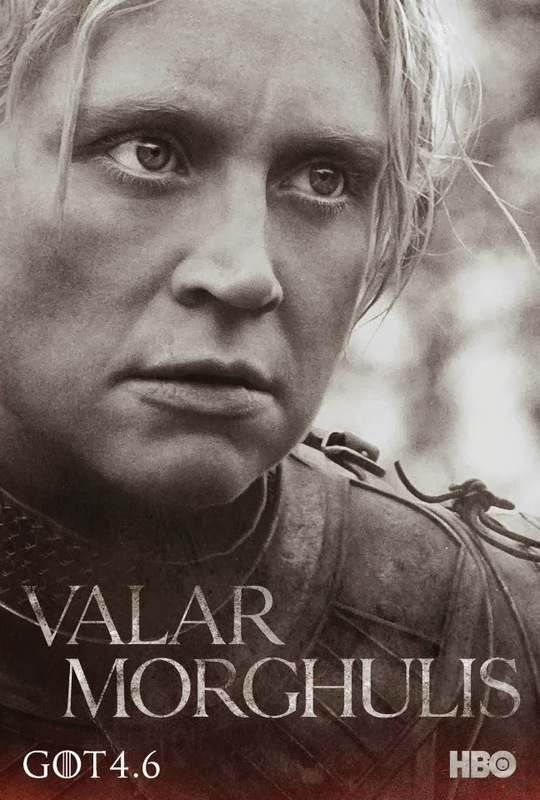 And expect more of these words as surely more people will die this season. 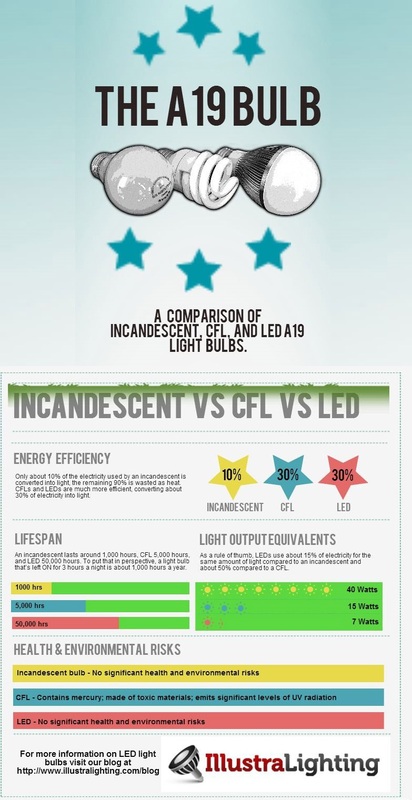 Some of which we loathe and unfortunately some are our all time favorites. 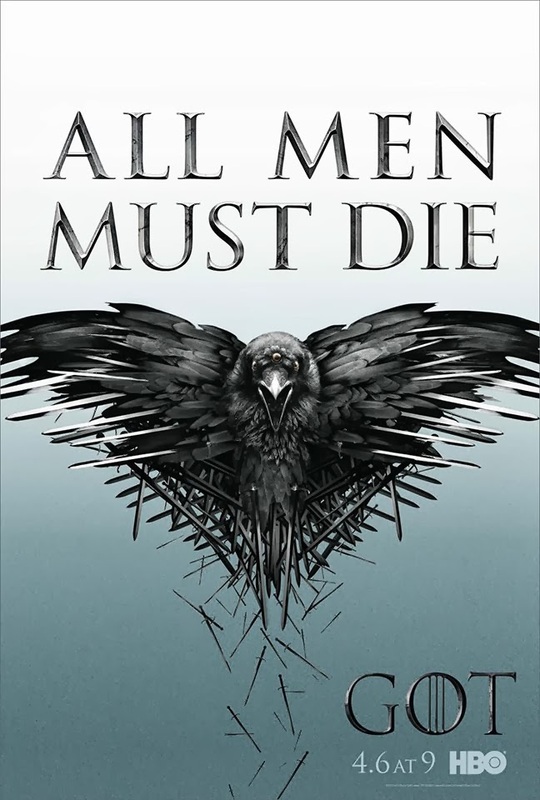 Blame author George R. R. Martin for that, because he seems to enjoy killing off his characters whether we like it or not. 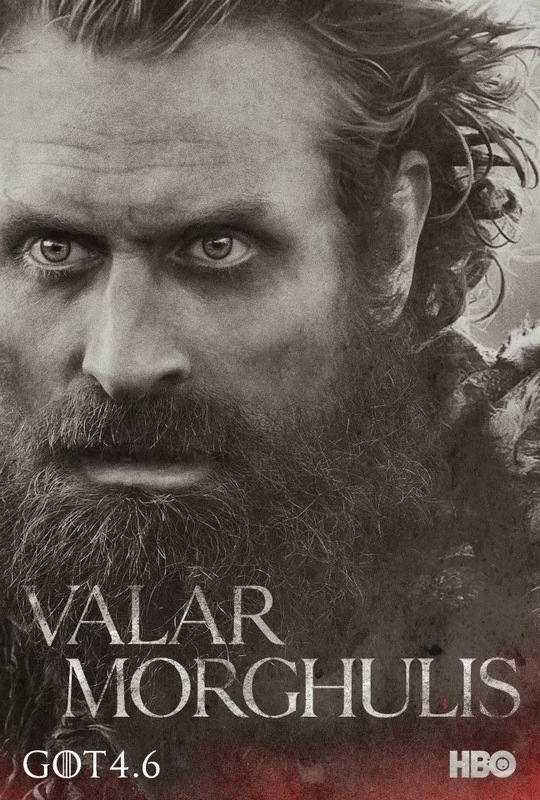 To prelude the coming season, here are 18 character posters and 3 video teasers of the show. 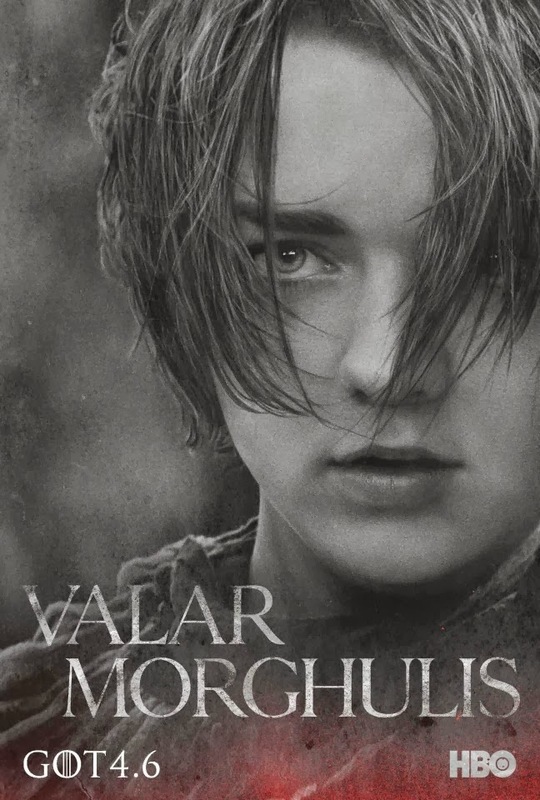 Have your fill of these 18 new character posters of Games of Thrones Season 4. 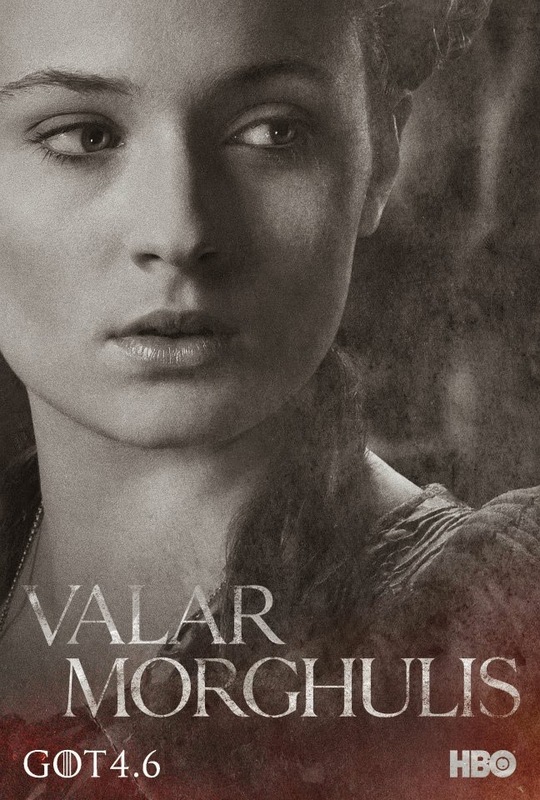 Updated: Here are the additional 2 for Melisandre and Daario Naharis. Don't go just yet, because here are freshly baked teaser videos from the series. 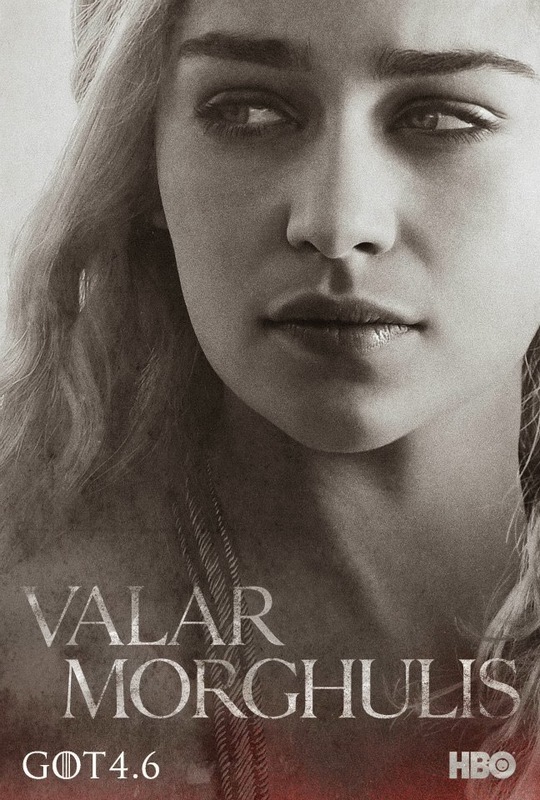 Game of Thrones Season 4 will premiere on April 6, 2014 only at HBO. If the Roar music video by Katy Perry was such a nice thing to watch, you might be disappointed with the latest Dark Horse music video of the same singer. The usual ingredient of a Katy Perry video that makes it very good are there -- flair, colors, and fantasy -- but it seems to luck something that I so expect from one of the best songs from her Prism album. And Come to think of it, you'll know what was missing: depth. The video might have all the grandeur of visual satisfaction, but the depth and the soul of it are amiss. I can't take Katy Perry seriously this time, because she ain't serious in the first place. The Egyptian setting might have been good, but the execution and the utilization of the theme are so-so. Watch the new music video of Dark Horse by Katy Perry, featuring Juicy J.
I need to experience the emotional depth that I once had with Wide Awake and Unconditionally. Is our pop goddess slowly slacking down? I hope not. Being the third single of Katy Perry's Prism album, Dark Horse was released way back in December of last year. But then it first came out last September 17, 2013 as a promotional single so there is no surprise for its individual come back this time around. It was the sixth track of the said studio album and was written by Katy Perry, Jordan Houston, Gottwald Sarah, Theresa Hudson, Max Martin and Henry Walter. Katy Pätra, the videos protagonist, first appeared a few days before video made it official premiere when a teaser show-up online. Just when you thought the trailer of Guardians of the Galaxy is already to make you happy, think again. Just now the official poster of the movie has been unveiled, featuring an almost cartoon-looking rendition of the characters. But then again, don't celebrate just yet because 5 new featurettes highlight the main characters of the movie with Chris Pratt as Peter Quill a.k.a. 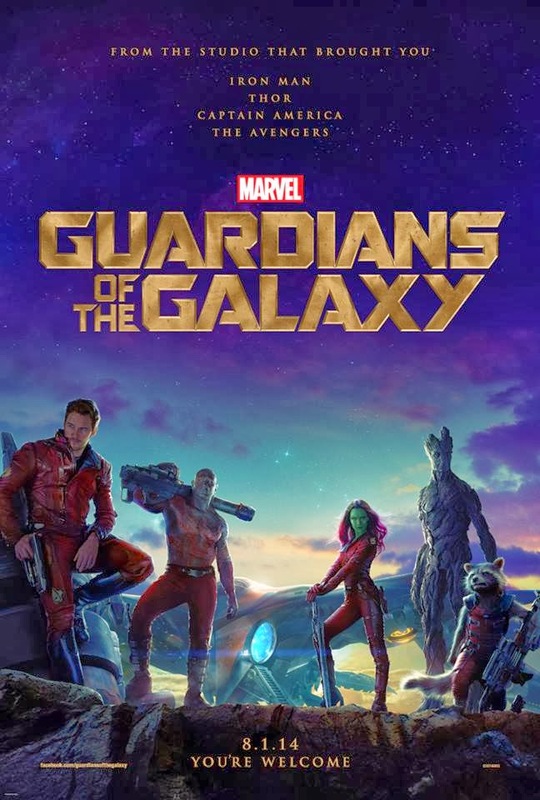 Star-Lord, Zoe Saldana as Gamora, Dave Bautista as Drax the Destroyer, Vin Diesel as Groot and Bradley Cooper as Rocket. The movie is directed by James Gunn. What can you say about the new poster of Guardians of the Galaxy? Marvel's Guardians of the Galaxy, which first appeared in comic books in Marvel Super-Heroes, Issue #18 (Jan. 1969) finds space adventurer Peter Quill the object of a bounty hunt after stealing an orb coveted by a treacherous villain. But when Quill discovers the power it holds, he must find a way to rally a quartet of ragtag rivals hot on his trail to save the universe. Marvel's Guardians of the Galaxy will change your views on Superheroes staring August 1, 2014. A new trailer for British drama Starred Up has been released online. 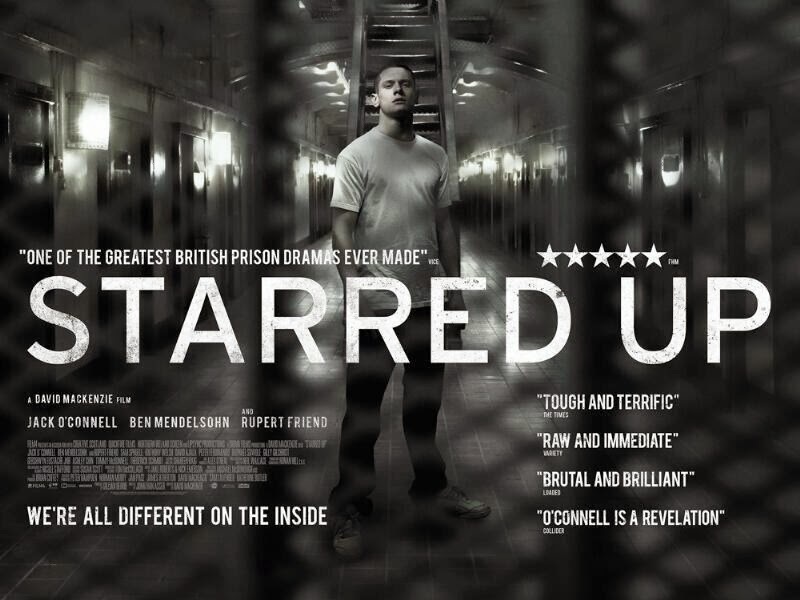 Directed by the famous and genre-hopping David Mackenzie, Starred Up Trailer for the film shows Eric Love (rising star Jack O'Connell), who got in an adult prison. The teenage criminal seems smart enough to deal with the British prison system’s corruption. His violence and aggressive streaks send him to a prison for adults, where Eric comes face to face with a criminal who turns out to be his long-lost father serving a long sentence. When O’Connels’s hero starts to act unpredictable and violently, it forces the prison guards to bring in measures. 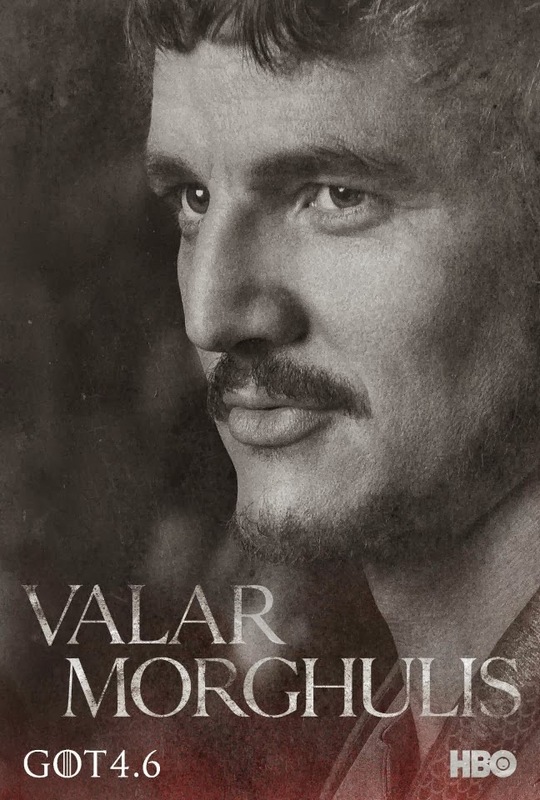 Now, it's up to his father (Ben Mendelsohn) and a sympathetic doctor (Rupert Friend) to stop him before it's too late. The most fascinating scene created by director David Mackenzie (“Young Adam”, “Spread”, “Mister Foe”, “You Instead”) is undoubtedly the first opening scene documenting the vivid processing of young Eric (O’Connell) into the adult prison (Belfast) through innumerable jail doors and assorted hallways to a solo cell. All the same, Eric is used to spend most of his life in state institutions. 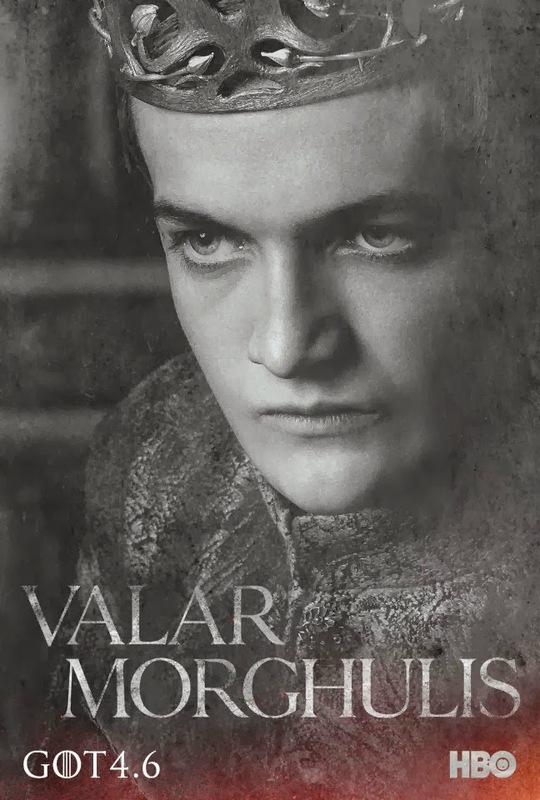 Several guards hold him during his frequent violent outbursts and fights. But the central dramatic scene of the script (Jonathan Asser) runs between Eric Love and his father Neville (Ben Mendelsohn), who’s staying here as well. Eric (Jack O’Connell) is a young violent teen prematurely thrown into the world of a dark adult prison. While struggling to fight against the prison officers and the other cellmates, he has to face with his own father Neville (Ben Mendelsohn), who has spent most of his life in prison. As Eric studies the new rules for survival and overcome with other prisoners. It’s impossible to avoid thinking about many nuances of the forthcoming movie’s basic story, because it is played in such a dynamical physical term, so the viewer can understand the meaning of a real prison life in details due to what the film has to offer. But there’s O’Connell himself, whose performance is so honest and vivid that you never know when and what he might do next. He’s more than a jailhouse-smart boy in this film and it should be very useful to follow his future career. Finally a British talented star without accent can take a role of value going all the way. In Starred Up Trailer we see O'Connell how he is made of - in a role that allows him to show like it's the one. Do not to miss the official release in March, 2014. 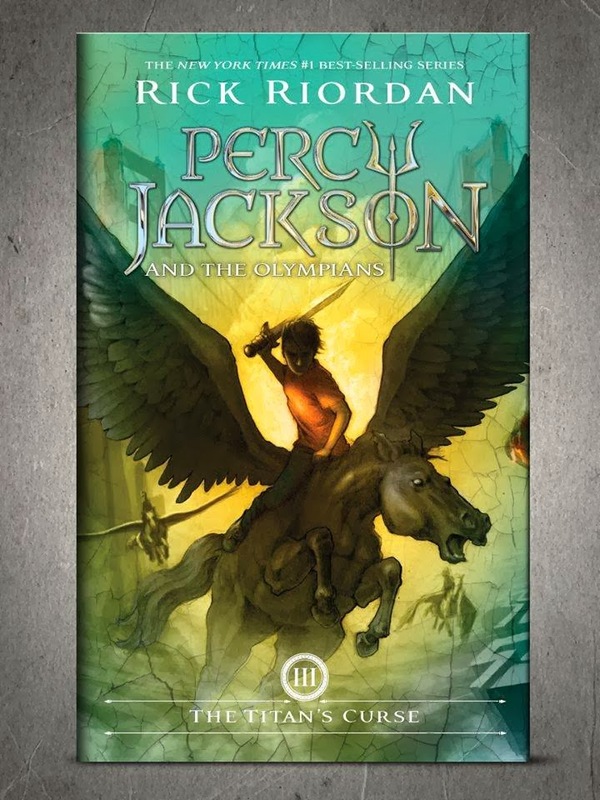 The Percy Jackson & The Olympians series by Rick Riordan is getting a new look! 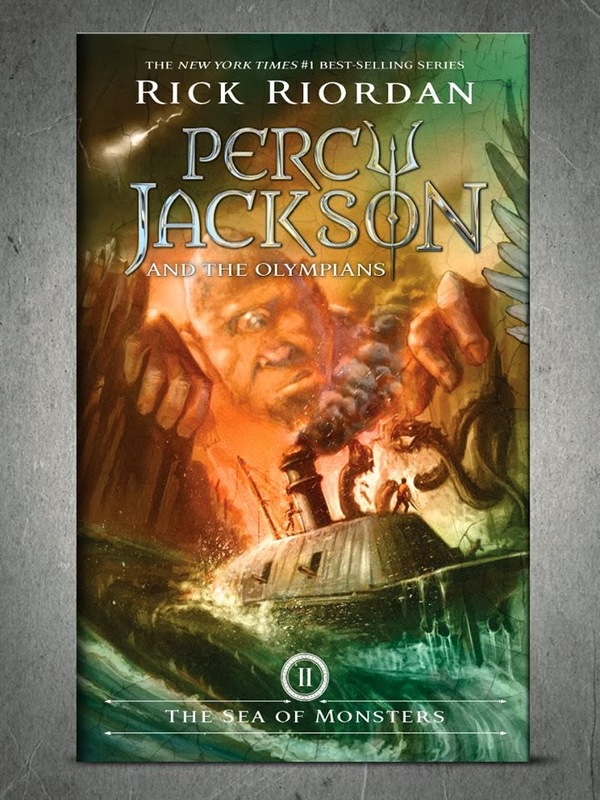 The five books in the series will once again be redesigned courtesy of the art by John Rocco, who did all the previous arts for Percy Jackson and also for Heroes of Olympus. 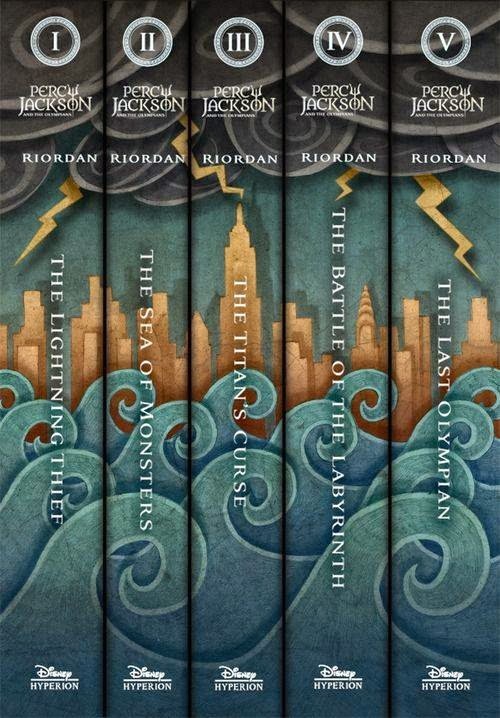 Starting last February 17, 2014, the covers were revealed one at a time for the duration of five days until February 22, 2014. 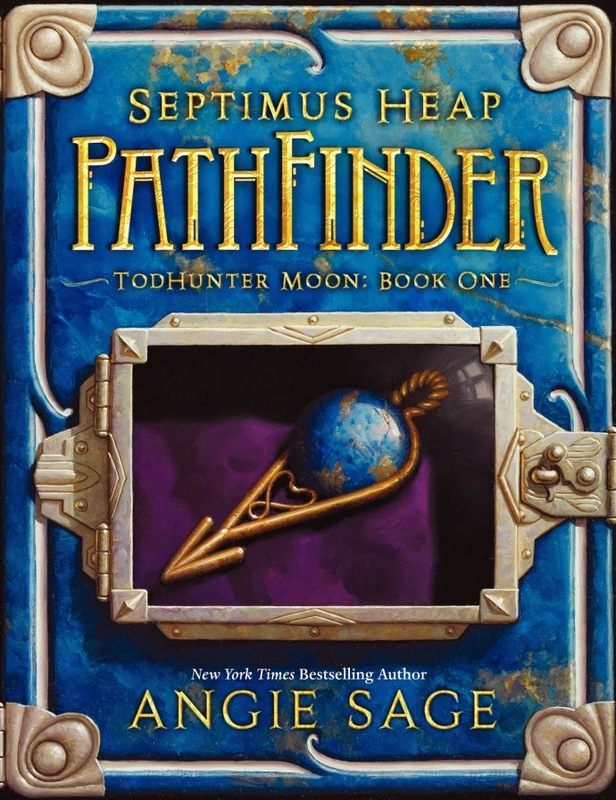 It's been almost 9 years since the release of the first book in the series, specifically last June 1, 2015, and it's about time that the series will get a new look to attract more fans. 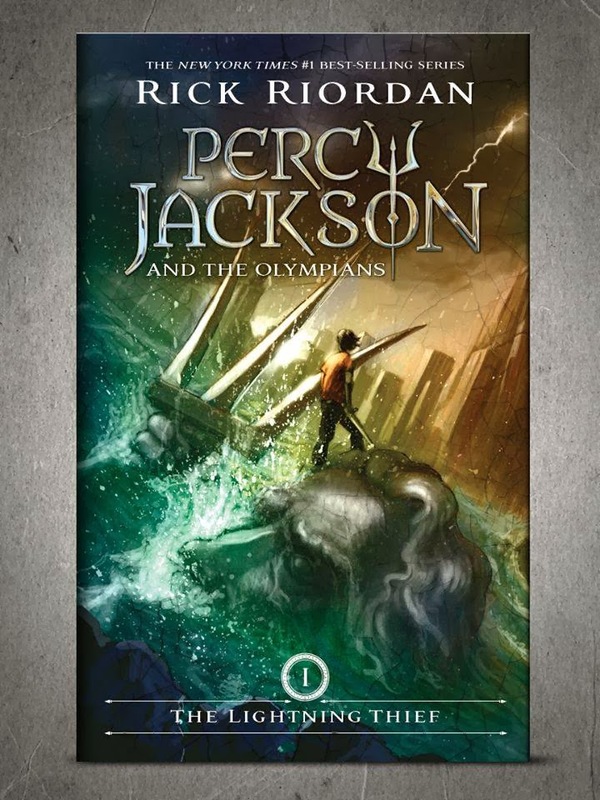 Here are the new covers of the books in Percy Jackson & The Olympians series. Also, for fun stuff, once all covers have been revealed they will form a panoramic view of all the covers, which are interconnected with each other. So far only the first covers have been released so stay tune. Enjoy the original art by John Rocco. And the spines of the books in the series have something to show as well. This redesigned books will be released sometime this year. 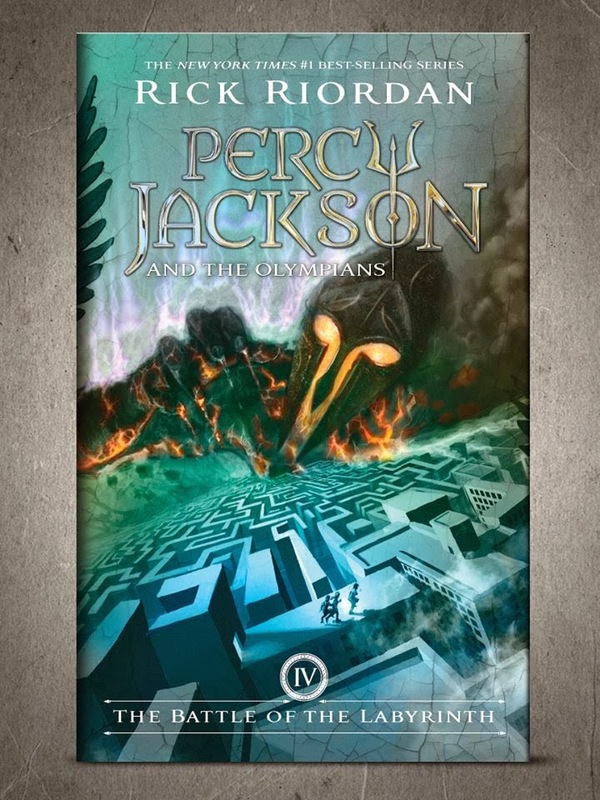 Other releases will be on April 8 for The Mark of Athena paperback along with a crossover story called The Staff of Serapis. 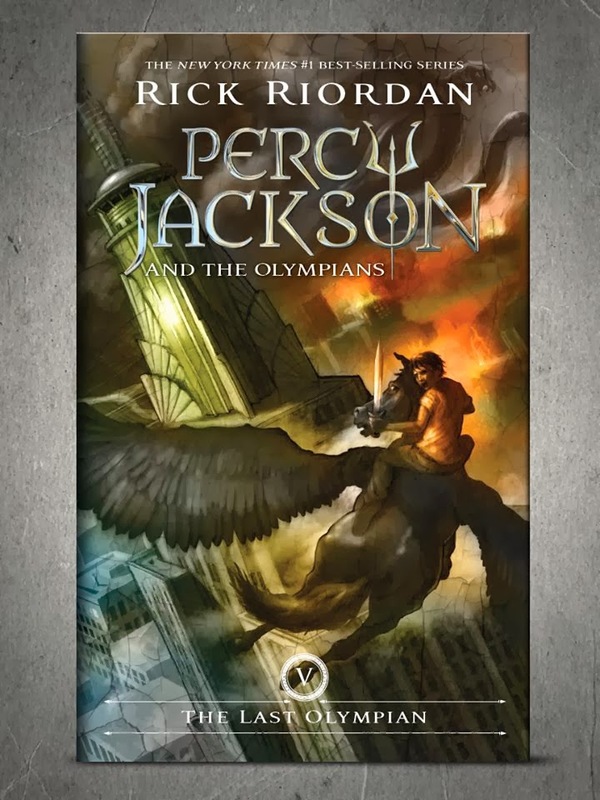 Percy Jackson and the Greek Gods will be released on August 19 and the final Heroes of Olympus book called The Blood of Olympus on October 7, 2013. George Clooney (and his frequent scenario writer Grant Heslov) excellent guides not only in the sorts of coffee, but in different projects - while silly blockbusters and TV serials are long gone, so now George can work exclusively for his own prestige or bank account. Perhaps he will be able to catch these two birds at the same time with the help of "The Monuments Men" project! The film shows the time period during the Second World War. The famous leader Adolf Hitler always had a weakness for ancient relics and artifacts. What he did not get, he destroyed. The German army made ​​its way through the explosions and destruction, destroying the whole layers of culture. George Stout, the main character, wanted to preserve the cultural heritage for future generations, so he has assembled a team of seven people. Among them were not soldiers capable to repel the Nazis, and the people of most peaceful occupations - architects, museum curators and historians. 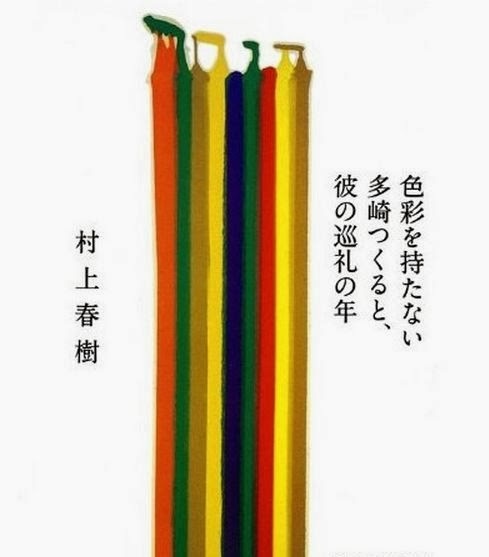 They were completely unprepared for the performance on the battlefield, but they wanted to keep the unique works of painting, sculpture and architecture. The team not only defended the masterpieces from the Nazi army, but the soldiers of the country also. George Stout and his recruits tried to explain to the soldiers what should be left intact. Peaceful people of cultural professions, who have never even seen the weapons, had to undergo a crash course to prepare for military action. They are very uncomfortable feeling in uniform, but their service helps to overcome the rigors of all military life. For a short time they were able to save from Hitler's many works of high art stockpiled in a secret place. But the Nazis managed to penetrate in one of the museums, taking away all the valuable exhibits. Now Scout and his people need to fight with the Germans to prevent them from using cultural heritage for personal gain. And here they can rely only on themselves and their new soldier skills. This is a matter that has ​​become the most important and dangerous in their lives. But they will do anything to save the masterpieces, because only they know the true value of it... Will the guys who are much better acquainted with the frescoes of Michelangelo and Da Vinci paintings than with weapons and the art of war save the greatest masterpieces of culture? 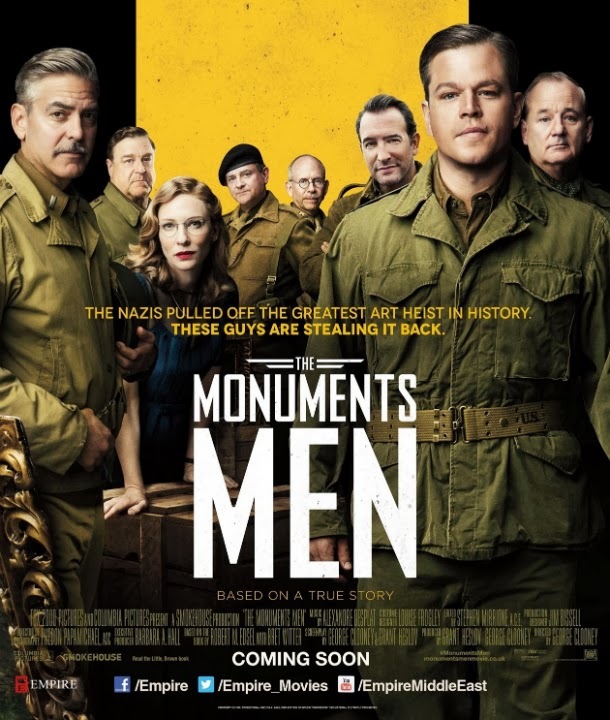 As you know, it is always better together, so Clooney decided to get involved in this military adventure with his "Ocean’s gang" – so, in addition to George, The Monuments Men shows Matt Damon, John Goodman, Jean Dujardin , as well as Bill Murray himself and charming Cate Blanchett! Premiering over Jimmy Kimmel Live, the trailer of Guardians of the Galaxy may have been the best trailer there is -- at least compared with all trailers released by Marvel. Centering on the comedic and comic side of the story the trailer presents the "rogue" members of the said intergalactic group. 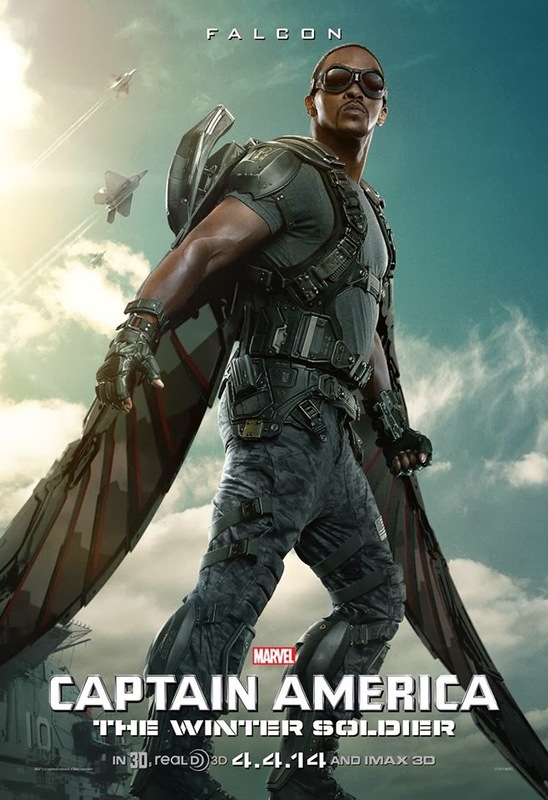 Starring Chris Pratt, Zoe Saldana, Dave Bautista, Vin Diesel, Bradley Cooper, Lee Pace, Michael Rooker, Karen Gillan, Djimon Hounsou, John C. Reilly, Glenn Close, and Benicio del Toro, the movie is written and directed by James Gunn. This Walt Disney Pictures and Marvel Studios presentation is produced by Kevin Feige. 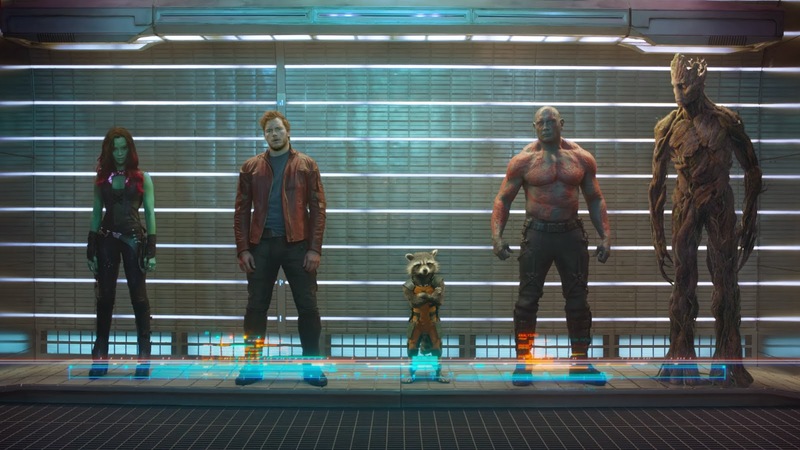 Marvel's Guardians of the Galaxy will hit theaters on August 1, 2014. There is a lot of imagination and a bunch of crazy ideas involved in creating one animated comedy. And this is simply awesome, because the public gets really fun time watching such movies. 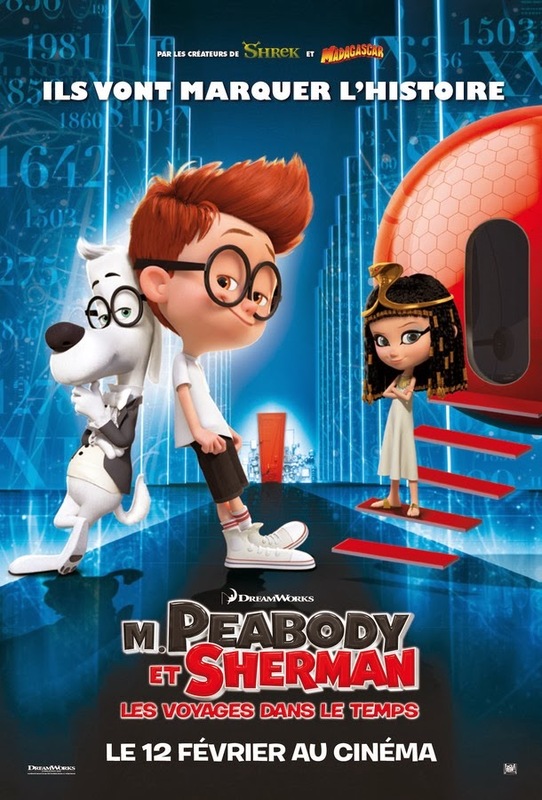 The new film of a kind is called “Mr Peabody and Sherman”. It tells the story of a dog and his adopted son. It is not as crazy as it sounds… well, maybe a little, but it is also an extremely funny picture that’s totally worth our time. Here’s why Mr. Peabody & Sherman is an absolutely extraordinary animation. First of all, it centers on a dog that’s genius. He has doctoral degrees and crazy skills in engineering, music and sports. This is just mind blowing. Secondly, this dog has a pet, that’s a human boy, Sherman and they have a perfect normal and healthy father-son relationship. For example, once they were on a casual trip in the Ancient Greece on the set of the Trojan war and Mr. Peabody tried to act really sever and he did not allow his son to fight the war. See, a really normal dad that knows how a son should be educated. Moreover, Mr. Peabody and Sherman are time travelers because this genius dog has invented the one and only WABAC machine. This is a time machine, that takes him and his son in the past and that’s how they teach us the history, in a very funny way. Also, we can taste a little of the very first love emotion because we get to see how Sherman is falling crazy for this little blonde cutie whose name is Penny Peterson. Just as I said, this movie has it all and it is totally worth 92 minutes of our life. Brought to us by the amazing DreamWorks Animation, Mr. Peabody & Sherman is the kind of animated film that fits perfectly, our family time. This March, do not lose the opportunity to witness the adventures of Mr. Peabody and his absolutely cute son. They are going to make us learn the history, while laughing and having crazy fun. Meet Mr. Peabody, the gorgeous dog that has it all. 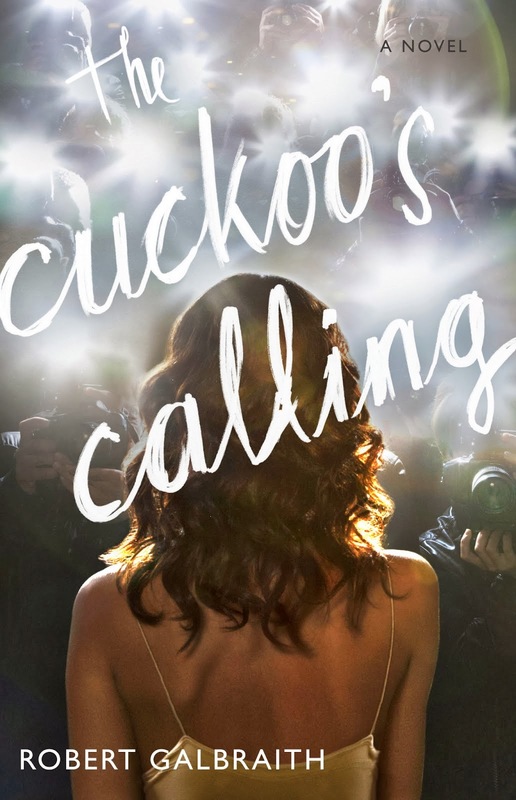 The sequel to The Cuckoo's Calling has finally been announced and it's entitled The Silkworm. 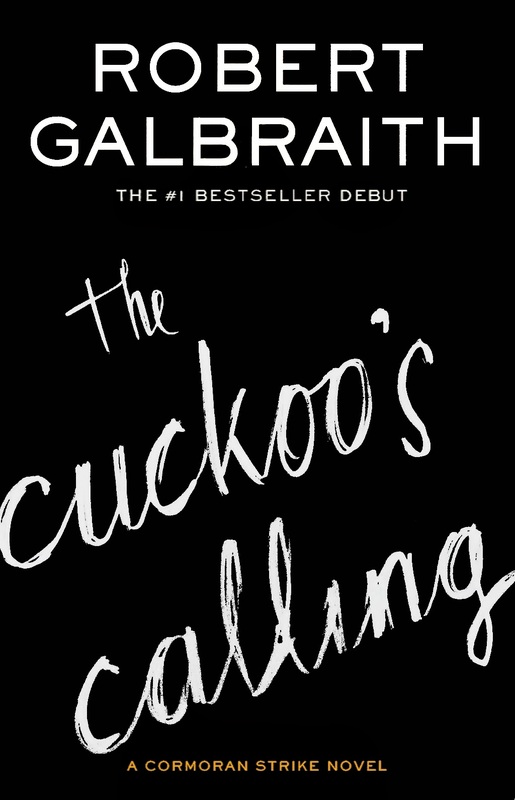 This Cormoran Strike adventure will be the second book by Robert Galbraith, the pseudonymous identity of British author J.K. Rowling. Further details revealed that the book will be released on June 19th this year. 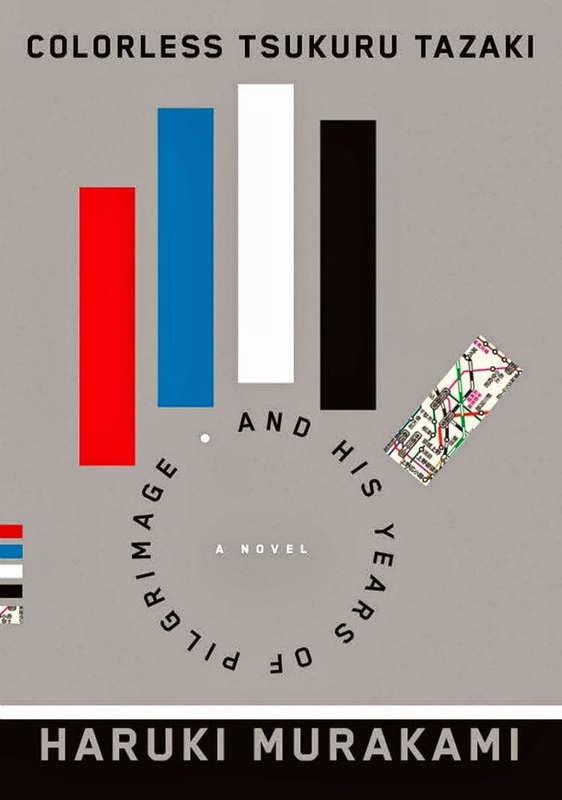 Hachette Book Group, the US publisher of the series, has also released a full description of the upcoming novel, which will surely be swarmed by fans, after the author's true identity had been revealed. As usual, a man's silhouette, which is most probably Strike, is featured in the US cover of The Silkworm by Robert Galbraith -- reminiscent of the British cover of the first book. 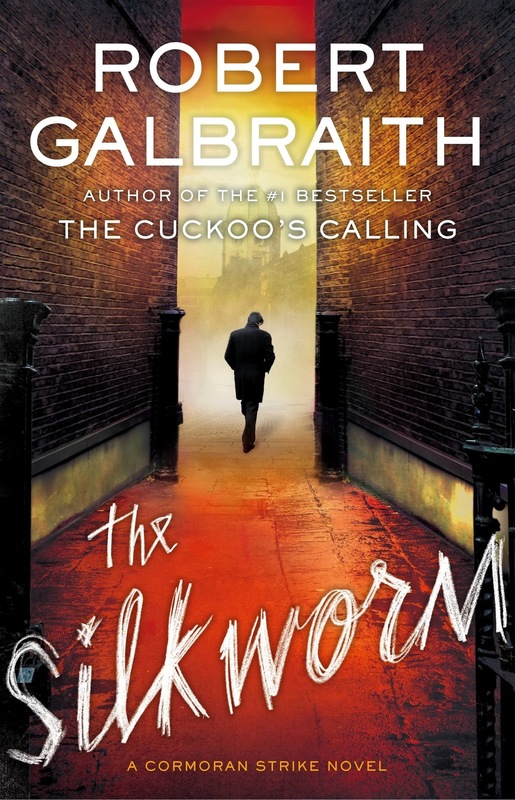 The Silkworm, an electrifying sequel to The Cuckoo's Calling, by Robert Galbraith will be released on June 19, 2014. While Sony and Columbia Pictures still having the rights and license of all Spidey merchandise we can expect that they're gonna juice out the story in any way possible before they turn them back over to its rightful owners. It's quite a good thing though, because we can somehow glean the urgency and pressure this fact entails on its latest movie in the Spider-man franchise, making it a much better one. Andrew Garfield and Emma Stone are at their best to bring out the characters entrusted to them. They are joined by Jamie Foxx, Dane DeHaan, Colm Feore, Paul Giamatti, Sally Field, Chris Cooper, B.J. Novak, and Sarah Gadon in this Marc Webb directed sequel, based on the screenplay by Alex Kurtzman, Roberto Orci, Jeff Pinkner, and James Vanderbilt. 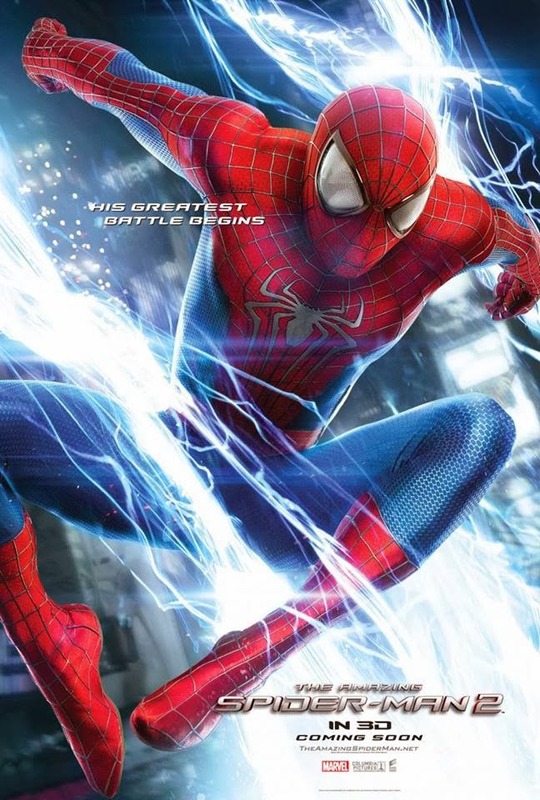 Watch The Amazing Spider-Man 2: Enemies Unite Sizzle teaser. Super Bowl may just be the time for Superhero movies. Left and right we've been bombarded by explosive scenes and clips that would have never been released if not for this gigantic sports event. And by saying so, Captain America: The Winter Soldier didn't let this opportunity pass to show off its seat-gripping sequel thus far. This second time cinematic adventure brings together Walt Disney Pictures and Marvel Studios and is directed by duo Anthony & Joe Russo. The cast are as follows: Chris Evans, Scarlett Johansson, Samuel L. Jackson, Robert Redford, Sebastian Stan, Anthony Mackie, Cobie Smulders, Frank Grillo, Georges St-Pierre, Hayley Atwell, Toby Jones, Emily VanCamp, and Maximiliano Hernбndez. Captain America: The Winter Soldier will pick-up where Marvel's The Avengers left off, as Steve Rogers struggles to embrace his role in the modern world and teams up with Natasha Romanoff, aka Black Widow, to battle a powerful yet shadowy enemy in present-day Washington. 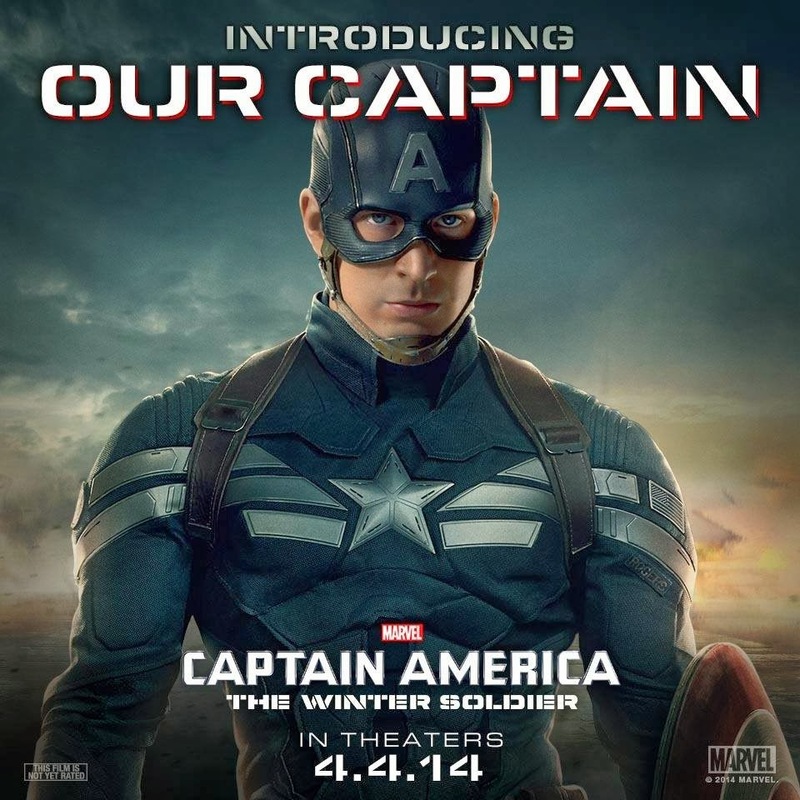 Captain America: The Winter Soldier will charge into action in theaters on April 4, 2014. This is not a reboot, this is just another arc in the story. That's probably what Michael Bay had been saying and reminding us for the past few months and it certainly does not console me for a fact that we are once again trapped with another series of buck ($$) drain or sink hole. New cast, new robots (the dinobots!) and new designs are a few of the things we can expect from the fourth offering in the Transformers franchise. Shia LaBeouf is out of the picture and Mark Wahlberg takes his spotlight, but not really his character. He will be joined by Jack Reynor, Nicola Peltz, Stanley Tucci, Kelsey Grammer, Sophia Myles, Li Bingbing, T.J. Miller, Han Geng, and Titus Welliver. Michael Bay once again takes the directorial seat and the screenplay has been written by Ehren Kruger. 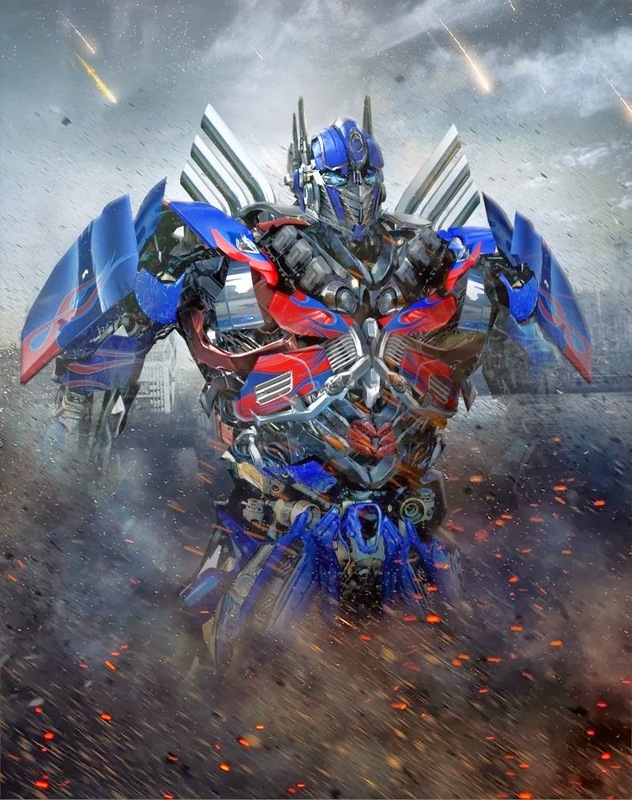 Watch the new Super Bowl TV Spot of Transformers: Age of Extinction. No official synopsis has been laid out as of the moment, but we can expect Transformers: Age of Extinction to hit theaters on June 27, 2014.